It’s starting to shape up. I’ve been dreading putting the nose together. 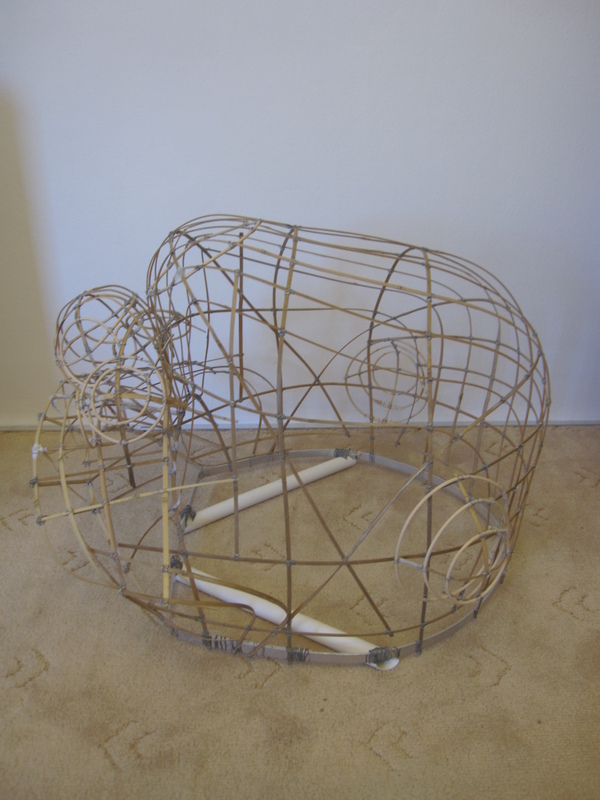 Once again, just staring at the frame from inside the lion made me shudder at all the little measurements I had to take and how fiddly it was going to get with making tight curves. 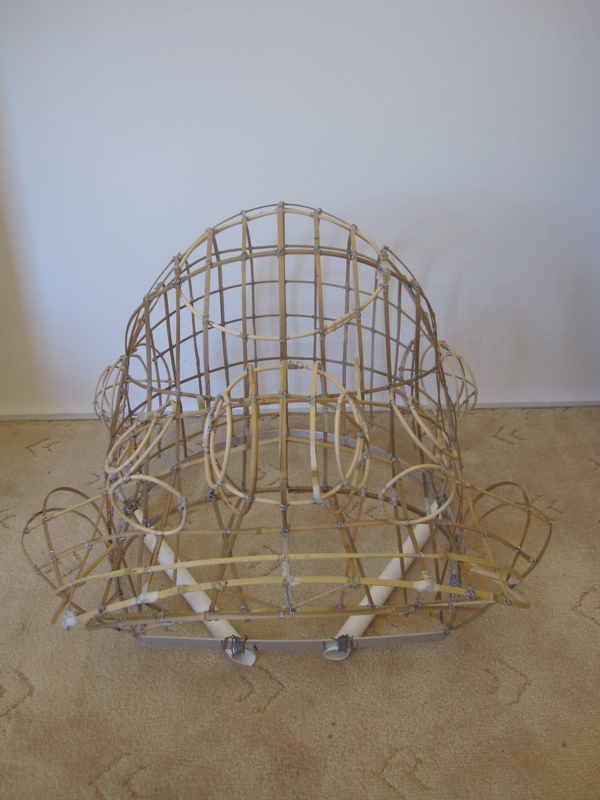 Rather than have a completely rattan nose like last time, I tried to retain as much bamboo as I could for strength and supplemented the areas that required tighter circles with the rattan.